Over the years our commercial clients have been able to depend on us to repair their plumbing and sewer issues. Keeping your commercial property open for business is a top priority and we understand the urgency when plumbing issues arise. From restaurants to office buildings to condo complexes, these types of projects need expert licensed plumbers that have experience dealing with these complex systems. Here is a list of the types of commercial accounts that we can help. Restaurants in particular cannot afford downtime. Our prompt expert diagnosis and repairs will get you back up and running quickly so you can open the doors again. While some plumbing problems can be minor and have minimal impact, some problems such as a sewer back up or the smell of sewer gas can cause the doors to be shut until the problem is fixed. Time is money and we know how critical it is to have as little disruption and downtime as possible. Outside of emergency plumbing and sewer repairs, there are many other areas of plumbing we can help with. 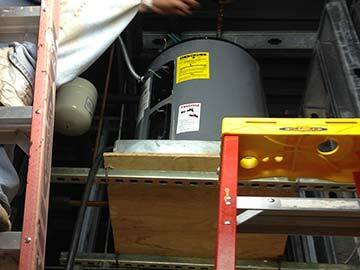 From installation of gas lines for the commercial kitchen to installing a grease trap, we have you covered. Office Buildings typically have issues with the restrooms or break room kitchen sink. We have seen it all when it comes to these types of repairs. Once again, we want to help you avoid downtime and will do our best to work quickly and with the least amount of disruption to keep your office working. Retail shops and strip plazas deal with a constant flow of customers. 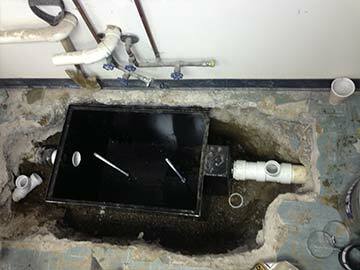 The plumbing issues from one retail shop can often impact other shops nearby. From sewer backups to a leaking water heater, being able to solve these plumbing problems fast is what we do. We often get called when a business owner's current service company falls through or fails to show up in a timely manner. 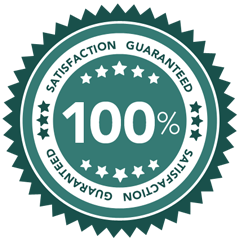 Let us prove to you that we are the reliable commercial plumbers you can count on. 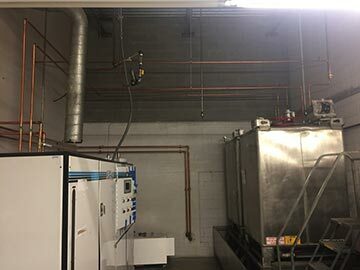 Industrial and manufacturing buildings have certain required plumbing needs that are much different than a typical residential plumber could handle. Larger, more complicated systems, sprinklers, backflow and fire lines just to name a few. We have the experience and equipment needed to handle these larger projects. Condo Associations and Residential holding companies require more coordinating than a typical business or commercial account. When you are dealing with tenants, you have much more to take into consideration. Once we establish a relationship, we make your account a priority and do our best to address the projects as quickly as we can in a cost effective manner. Whatever the issue, Roswell Woodstock Plumbing is ready to solve your plumbing problems. Give us a call today - 770-663-0600 - and tell us about your plumbing needs or how we can earn your commercial account business. Proudly offering commercial plumbing in Roswell and Woodstock, GA as well as Atlanta GA, Sandy Springs GA, Johns Creek GA, Alpharetta GA, Marietta GA, Smyrna GA, Dunwoody GA, Brookhaven GA, Mableton GA, Peachtree Corners GA, East Point GA, Milton GA, Douglasville GA, Kennesaw GA, Lawrenceville GA, Tucker GA, Duluth GA, Canton GA, and surrounding areas.